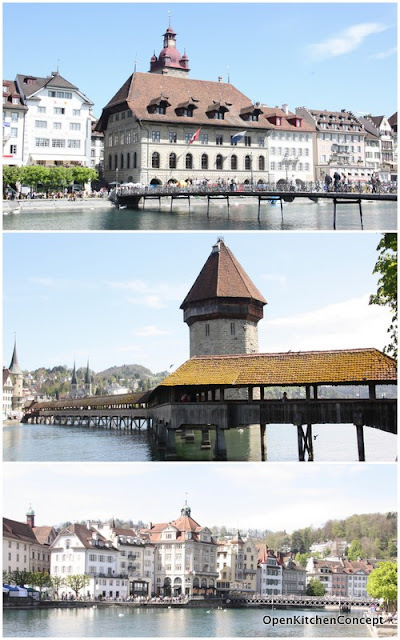 Lucerne was the first city we visited after Zurich. It is a beautiful city, obviously very popular with tourists as well from the throngs of tourists swamping this place. We took a boat ride on Lake Lucerne, also called the "Lake of the Four Cantons". 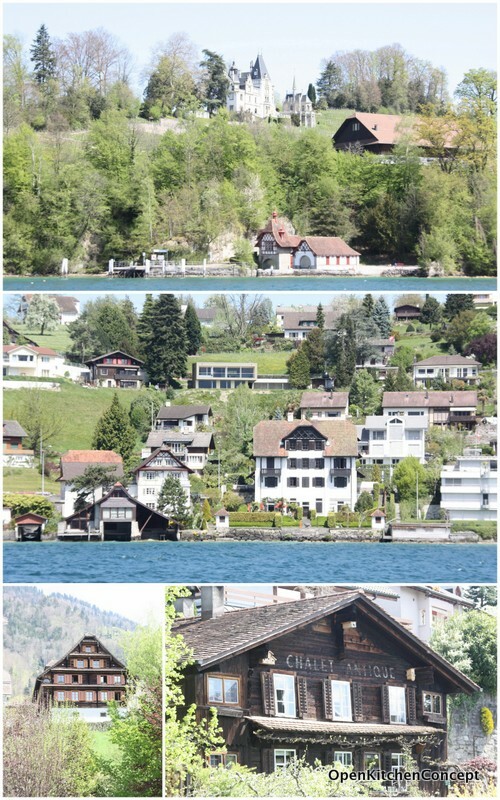 A round trip would take something like 6 hours, so we opted to just take a relatively short route - to a small holiday resort called Weggis, where we had lunch and then went back into town. I like all the houses and buildings we saw along the way..
Lucerne city itself has 2 other famous sites - Chapel Bridge with Water Tower and Bertel Thorvaldsen's famous carving of a dying lion. The bridge and tower is probably one of the most famous landmark of Lucerne, if not of Switzerland. 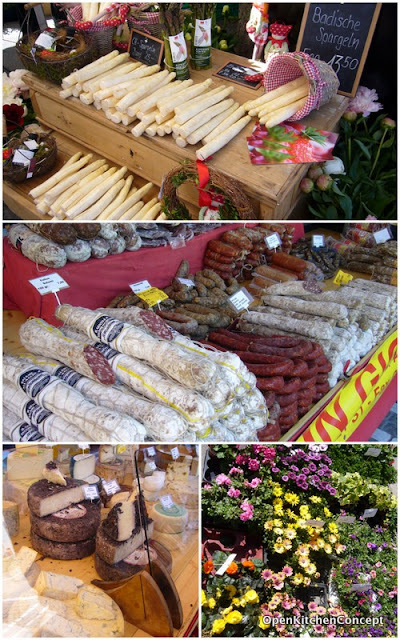 The weather was beautiful when we were there - it was also Saturday and apparently, Saturday is also market day, so we had a nice time strolling around, admiring the beautiful flowers and other sites of the market. I liked the Lion Monument a lot - I thought the lion really looked very sad, as it probably should since it was to commemorates the hundreds of Swiss Guards who were massacred in 1792 during the French Revolution, when the mob stormed the Tuileries Palace in Paris. 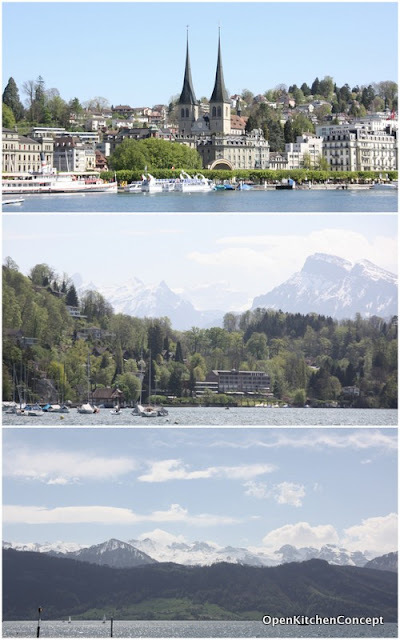 We stayed in a modern hotel called Hotel Hermitage when we were in Lucerne. 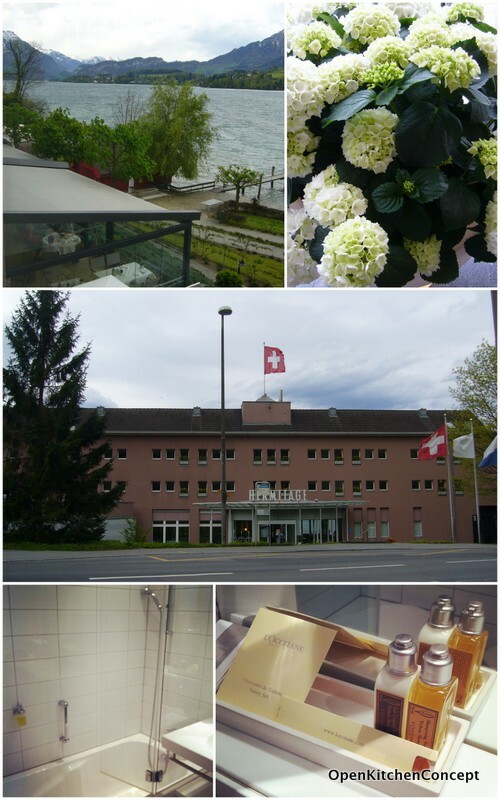 The hotel wasn't very expensive by Swiss standards, yet I thought it was very good. 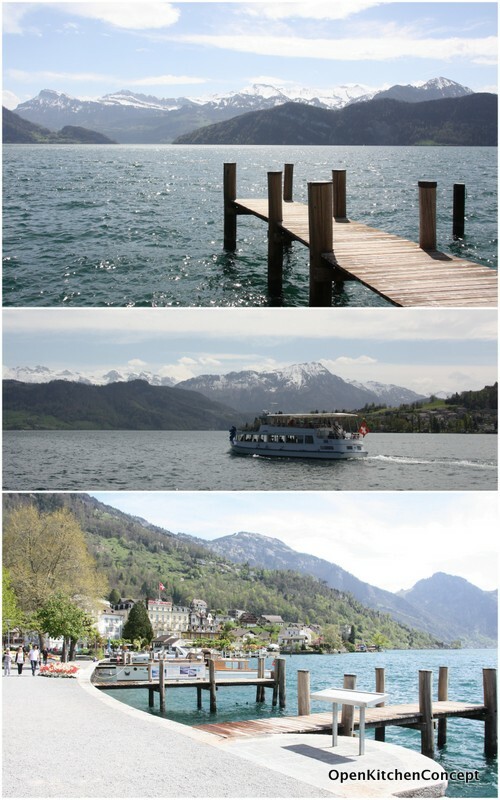 It was about a 15 mins bus ride from Lucerne train station, yet situated by the lake. We had a large room that had a magnificent view of the lake. This would definitely be a hotel a recommend.. and I would most definitely stay here again when I next visit Lucerne. Do Petunia! 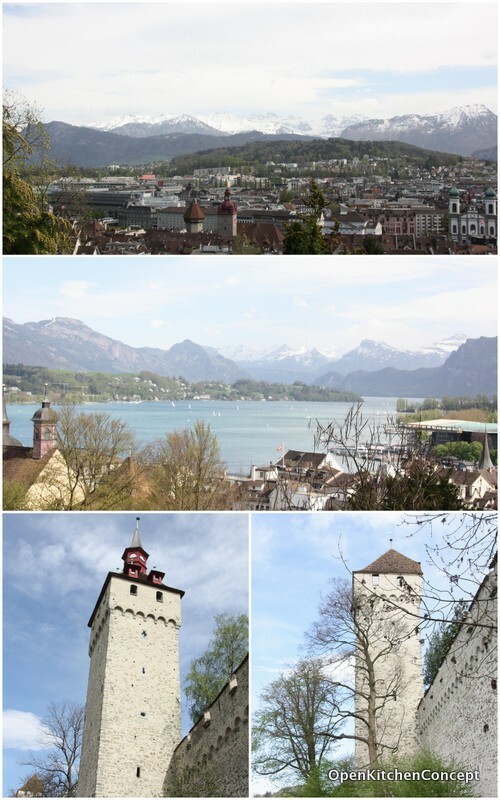 I really like Lucerne! 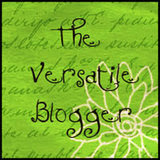 I'd be back! !